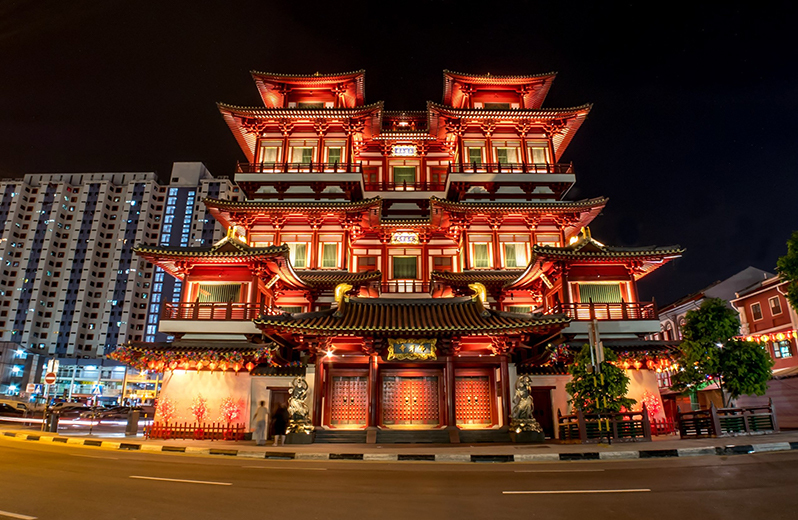 More than the sum of its numerous attractions, Singapore, an island city state is constantly evolving, innovating, reimagining and reinventing through its people who have a passion in creating new possibilities. It’s a place where collectors, culture shapers, explorers, foodies, socialisers and thrill seekers meet to curate new experiences each and every day. Today, slices of Singapore’s colonial and wartime past, as well as its multi-cultural facets are preserved in and throughout the city. Visit its museums, monuments and memorials for a trip through time or take a walk along the heritage trail. 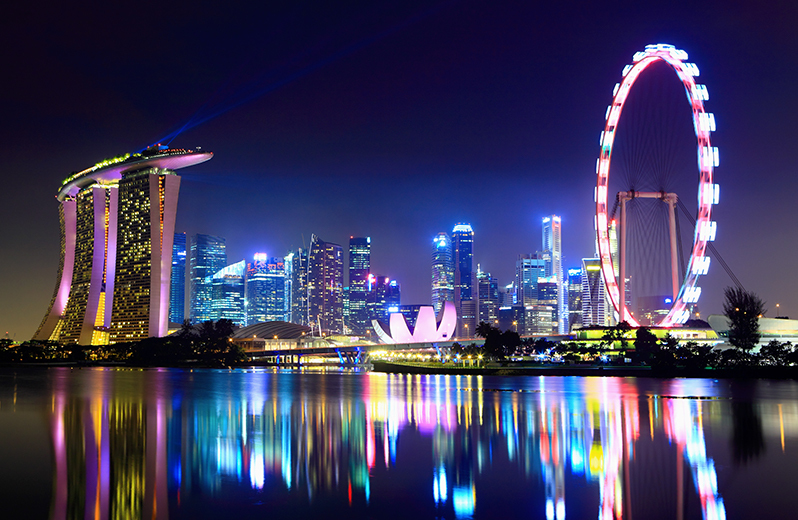 Here, we recommend the top 10 things to do when in Singapore! Home to fashion favourites, iconic shopping malls and a variety of lifestyle choices stretched across 2.2km into a shopping belt, Orchard Road is every shopper’s paradise. 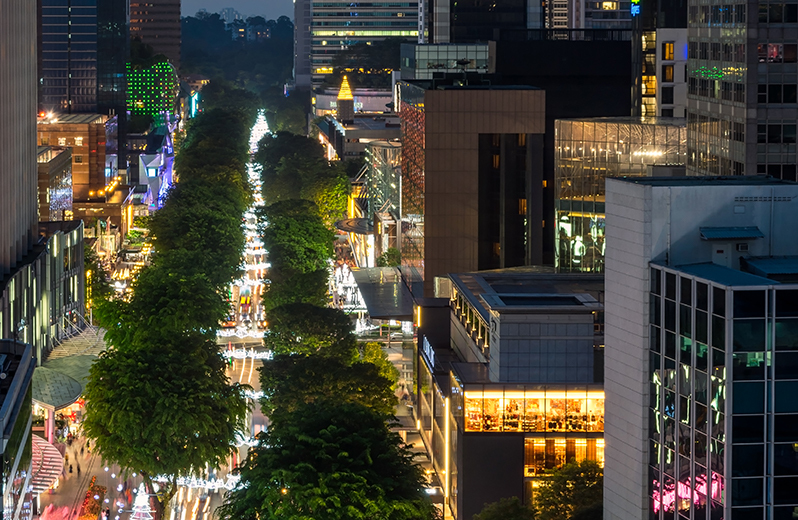 From art galleries, designer threads, ethnic wares to relax hangouts, Orchard Road has it. Lined by huge Angsana trees lining the pedestrian mall, shoppers can find ample shade from the blazing sun in the day which makes this retail street a nice place for a stroll. 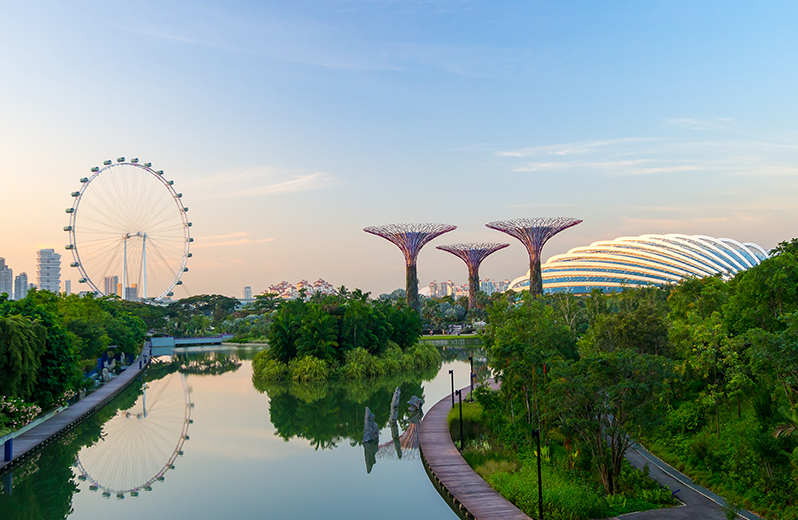 With its award-winning cooled conservatories and iconic Supertrees, Gardens by the Bay is a national garden and premier botanical attraction for local and international visitors showcasing plants seldom seen in this part of the world. From temperate climate species to tropical forest vegetation, the ever-changing floral displays including crowd pleasers like Blossom Beats, Orchid Extravaganza and Tulipmania bring the beauty and diversity of the plant kingdom to life for all to enjoy. Escape the tropical heat at the Garden’s cool conservatories, visit Gardnes by the Bay today! 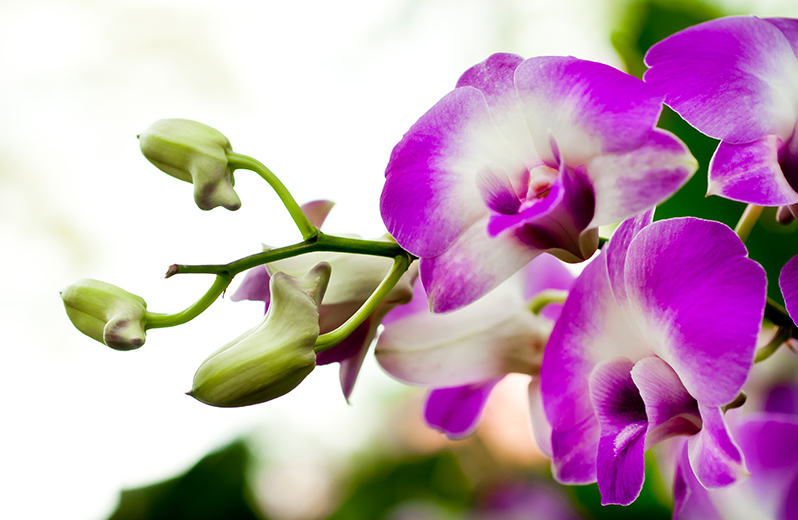 Since 1859, orchids have been closely associated with the gardens. The products of the Gardens' orchid breeding programme, which began in 1928, deserve a place where they can be displayed in their full splendour. The very design of these orchids is, are ‘handcrafted’ by the horticultural team who are dedicated to bringing out the finest in any hybrid cross. With over 1000 species and 2000 hybrids on display, these gorgeous blooms are absolutely a sight to behold at the National Orchid Garden. 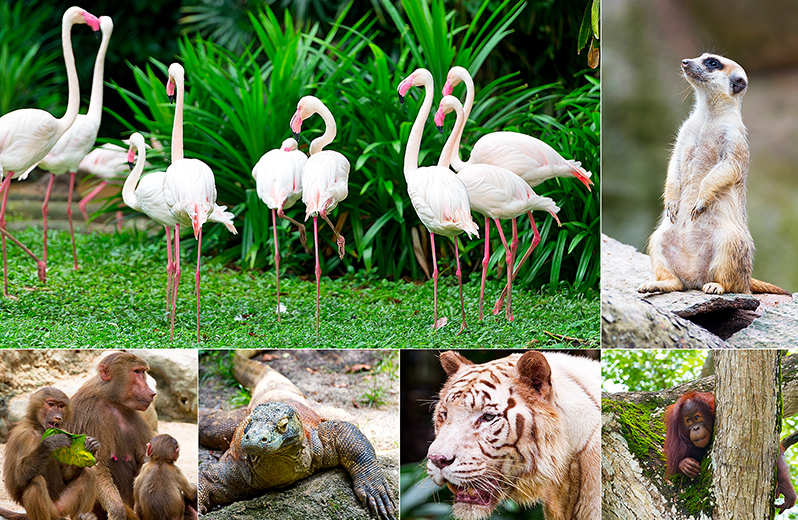 Receiving over 1.7 million visitors annually, the Singapore Zoo is known to have one of the most beautiful settings in the world, where animals roam freely in open and natural habitats. Spanning 26 hectares, it is home to over 2,800 animals representing over 300 species. The park also boasts the world’s first free-ranging orang utan habitat in a zoo, a showcase of the charismatic apes, which are also the Zoo’s flagship species, in natural surroundings. Other not-to-be missed educational highlights include Elephants of Asia and Fragile Forest. The Australian Outback and the Great Rift Valley of Ethiopia offer an immersive experience for guests as they discover each fascinating geographical region. are other fascinating areas to be discovered where guests are immersed in habitats representing the respective geographical region. The Singapore Zoo continues to contribute to global conservation efforts with its captive breeding programmes of endangered animals. In 2014, the Zoo bred over 100 animals, many of them endangered or threatened in the wild. Find out more about this multi-sensory experience here! 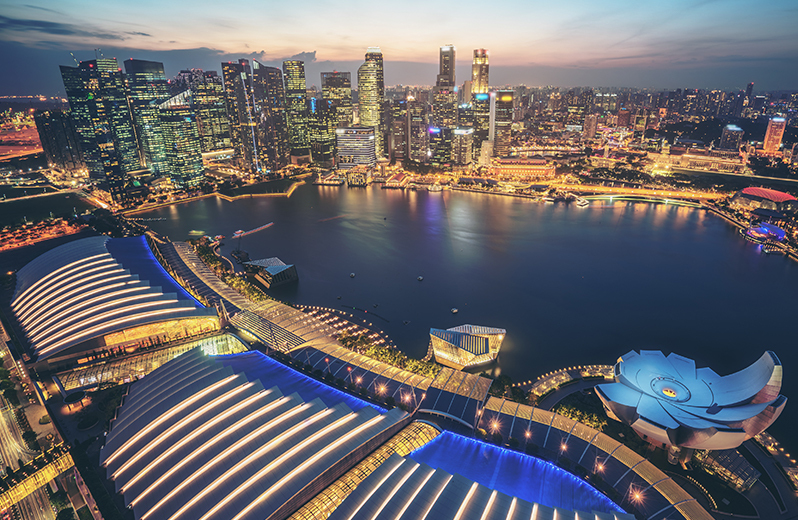 The symbol of 21st century Singapore and the centrepiece of the nation’s urban transformation efforts, Marina Bay has grown into a leading financial centre, a civic space, and a community playground for all. A story of far-sighted planning, long-term thinking and meticulous implementation waits to be told. Live the story and experience it! One of the world’s largest Giant Observation Wheels and also one of Asia’s biggest tourist attractions, the Singapore Flyer standing at a height of 165m promises more than just a view, but a panoramic experience that captures Marina Bay’s skyline with a glimpse of neighbouring Malaysia and Indonesia. With high standards of service, the dedicated team is committed to providing visitors with an experience to remember. 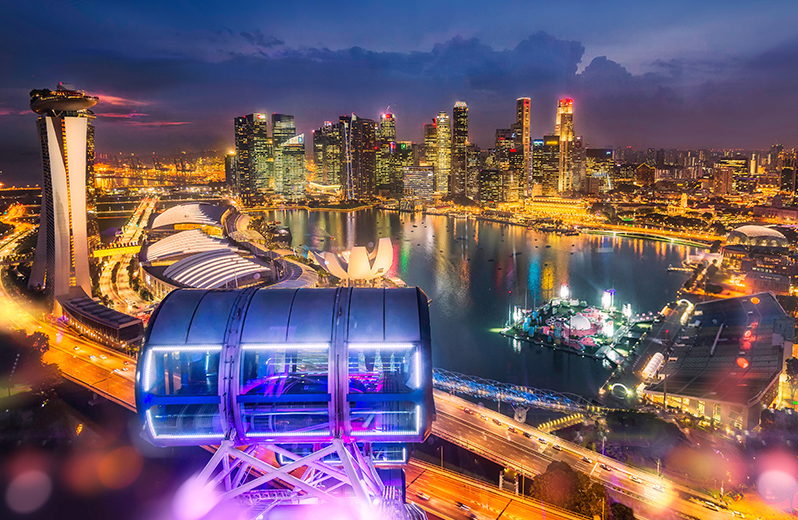 Begin your flight to breathtaking and mesmerising vistas at the Singapore Flyer. Unveiling the true causes behind “the worst disaster and largest capitulation in British history, the Battlebox was part of the Malaya Command headquarters, the defending army of Malaya and Singapore in World War II. 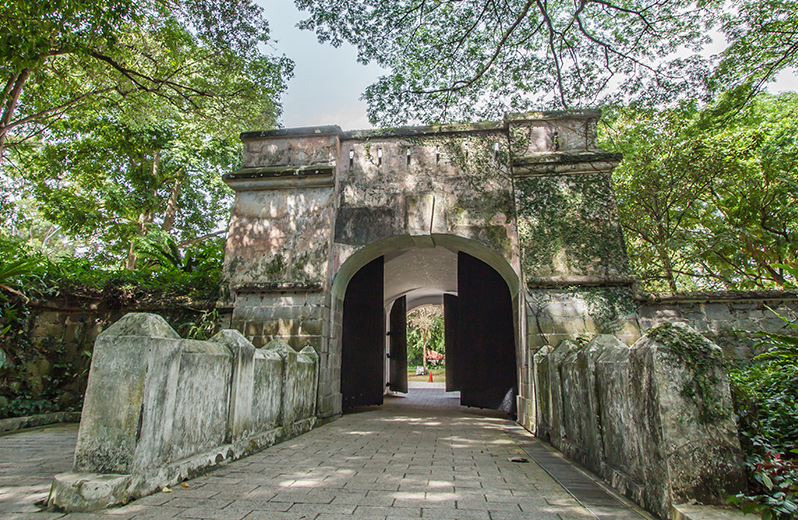 Located in the heart of Singapore on Fort Canning Hill, it was also inside the Battlebox that the British decided to surrender Singapore to the invading Japanese on 15 February 1942. A Story of Strategy and Surrender, the Battlebox Tour tells two stories - the fall of Malaya and Singapore in WWII, and how an underground command centre functioned during the war. Each visit contributes entirely to the costs of running and maintaining this priceless historical monument. Start your journey back in time at Battlebox. Soaring 57 levels above the heart of the city as you capture the moment of a lifetime or hone your photography skills from one of the city’s best vantage points, the Marina Bay Sands Skypark observation deck offers panoramic vistas of stunning Marina Bay, the world-class cityscape, architectural wonders of Supertree Grove, and the vibrant colours of Gardens by the Bay. From Marina South Pier to the Straits of Singapore Strait, get a bird’s eye view of the bustling shipping lanes that have built the island city state’s rich multicultural history. 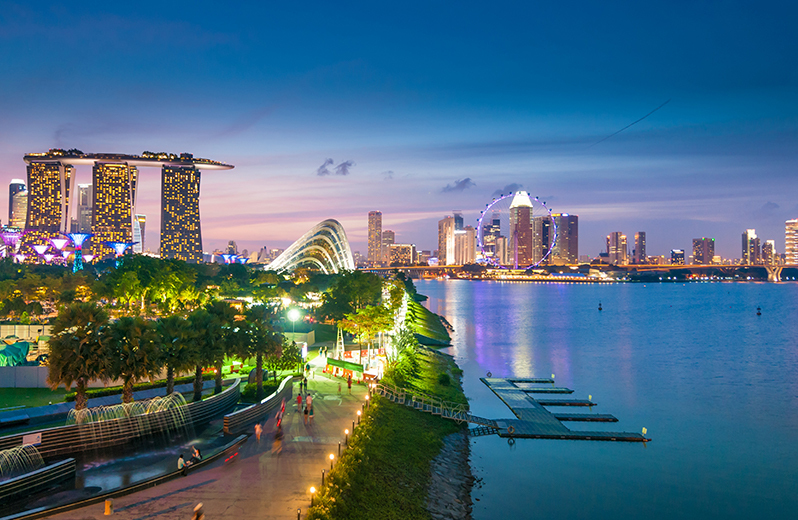 A complimentary attraction for people from all walks of life to enjoy, the Marina Bay Waterfront Promenade spans 3.5km into a continuous waterfront loop linking up a necklace of attractions at Marina Centre, Collyer Quay and Bayfront. Visitors can look forward to an uninterrupted, experiential stroll, a playful splash in the fountain or just soaking up the breathtaking view of the bay. Promising to delight the senses, Marina Bay Waterfront Promenade offers an experience many will want to keep returning to. Officially opened in conjunction with the first Vesak Festival Parade and carnival on 30 May 2007 by the late President S R Nathan along with many Sangha and guest both from locally and overseas, the Buddha Tooth Relic Temple and Museum showcases Buddhist culture and exquisite heritage of its home location Chinatown for visitors from all over the world.